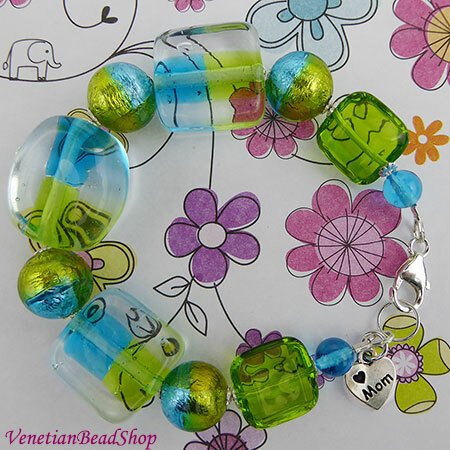 Make this summery Aqua and Green Transparent Bracelet for Mom...and maybe one for yourself. It is super easy and if you can flatten a crimp bead, put a wire through beads, you can make it. No one will ever guess how easy it is to make. And best of all Mom will love it with the heart with XOXO MOM on it. Click Here for Printable PDF with components list.